Last Minute Charters. Emergency Service. No Problem. USA Bus Charter is a hands down industry leader when it comes to assisting our last minute clients with their service needs. Did you have a reservation with another company who canceled on your group? Feeling stranded? Have an emergency and need service for your group now? No problem. USA Bus Charter has staff available 24/|7, 365 days a year that can arrange and fulfill your transportation needs. 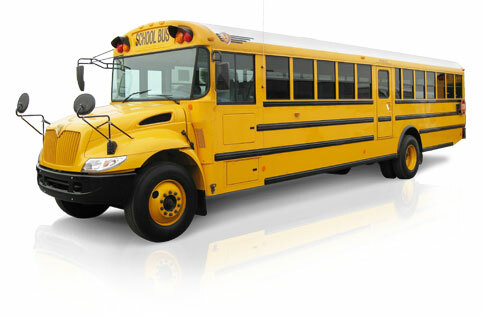 From schools, to airlines and FEMA (Federal Emergency Management Agency), USA Bus Charter is the go-to company when nationwide clients are in need of transportation. We are America's 'NOW' charter bus company, here when you need us. "Your Charter Bus is Waiting". I give high marks to USA Bus Charter. The company was able to source buses during a very busy weekend when other companies were unable to. Furthermore, the agent we worked with went the extra length to come up with solutions for our event at the last minute. It is rare that poeple give you their cell phone numbers to get work done after hours. Professionalism-willingness to go the extra mile and an appropriate level of personal touch. I would like to take this opportunity to commend USA Bus Charter for assisting during a recent irregular operation that occurred in Detroit. We had to find transportation for 200 passengers. Given the late hour of 1:00am your company was one of the few I was able to talk to a real person. Your company was the only one to provide any kind of honest updates. The service was provided and 200 passengers were transported. Why Choose USA Bus Charter For Your Last Minute Service Needs. 24 Hour Call Center Located in Phoenix, AZ serving the Entire U.S.
We Can Send a Bus To Your Location Within .60 Minutes In Some Cases! Washington D.C. • Seattle • Kansas City • Miami and hundreds others. Call us for immediate service.